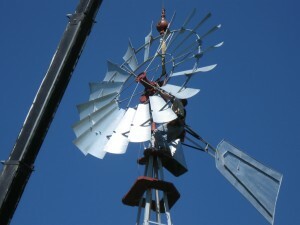 Had to relocate little windmill from Watertown, WI property that had been sold. 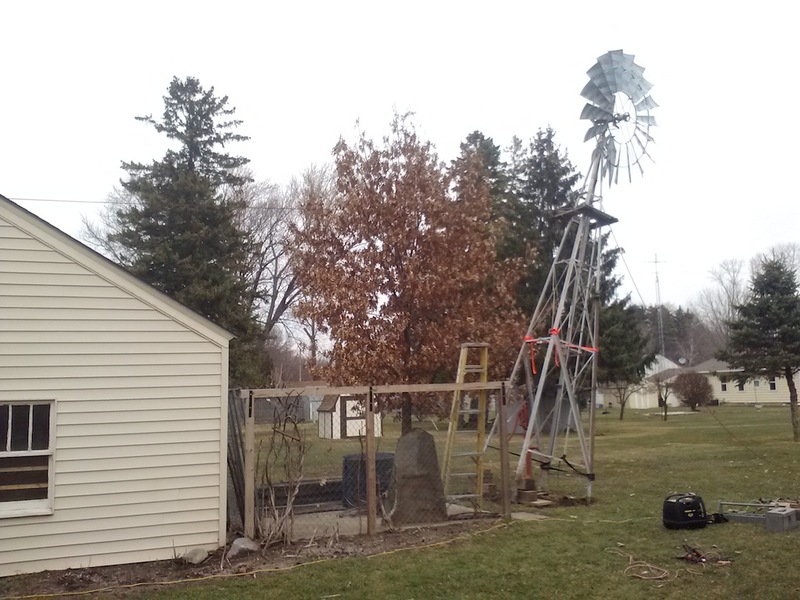 Ground was too soft for my rig so I lowered the 24′ tower with cable over top of nearby garage. I dis-assembled the A602 and customer hand carried all parts and tower out to street so no damage was done to the yard.